It is hard to define – let alone explain – how and why Estonian animation is so utterly unique. And unique it most certainly is. To the extent that the profile of Estonian animation has broadened in contemporary times much of the credit must go to Chris Robinson, the Artistic Director of the Ottawa International Animation Festival who in 2003 published ‘Estonian Animation: Between Genius And Utter Illiteracy’ which stands as the definitive history of Estonian animation. He followed this with a substantial series of programmes at the Ottawa festival that year which opened the eyes of many animation fans (your LIAF crew included) to the matchless wonder of the work that was being produced there – and had been for a good long while. Although individual animated films were produced in Estonia intermittently in the 1930s, it was not until Elbert Tuganov established a specific puppet-film department within the larger Tallinn Film Studio that anything like a contemporary history of Estonian animation begins. The Estonian word for ‘puppet’ is ‘nuku’ and so Tuganov named his division Nuku Film. It is difficult to overstate the importance of puppets in Estonian culture. Puppets appear time and again in all manner of broader Estonian cultural contexts. 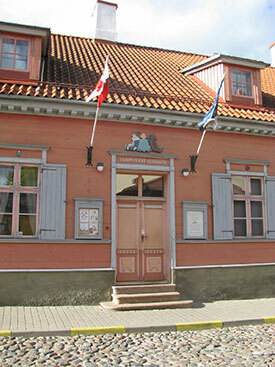 Indeed, to this day Estonia has one of the very few full time professional multi-stage puppet theatres in the world. Nuku Theatre nurtures a community of professional and aspiring Estonian puppet theatre makers, hosts travelling international puppet theatre productions and is home to a fascinating puppet theatre museum. one of the most comprehensive and spellbinding toy museums in the world. It pays to lower your head if you are tall when you wander through various doorways though – painful lessons learned and passed on for your benefit should you visit….. and you should visit. In time the Nuku Film division became a stand-alone, independent puppet animation studio. It will soon celebrate 60 years in existence. These days it is housed in an imposing stone building just outside the walls of Tallinn’s Old Town not far from the central train station and main produce market. The lower foyer area is loaded with sets, characters and props from some of its productions. It contains an incredible workshop facility capable of making all its own puppets and sets. This sits at one end of their building beyond spaces that can be home to up to a dozen ‘hot sets’ – complete rigs that are going through the slow-motion excitement of creating the thousands of frames that will cumulatively screen as the magical thing that is a puppet animation film. The other significant studio that has played a significant role in the history of Estonian animation is Eesti Joonisfilm. This studio focuses almost entirely on drawn animation although it is also gradually building a 3D capability. Theoretically, the iteration of Joonisfilm that we know and love today begins in late 1993. Eesti Joonisfilm had also long been a department of the Tallinn Film which was financially supported by Moscow. 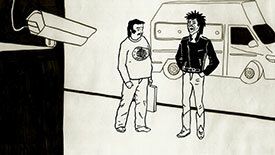 When Estonia gained its independence from Russia in 1991, these threads of support rapidly unravelled and two years later when the inevitable happened and Moscow withdrew all financial support (and control) of Tallinn Film, the obvious (the ONLY) decision was to establish Eesti Joonisfilm as a standalone, independent animation studio. These days it inhabits what – from the outside – appears to be a normal house in a suburban street. However, various incarnations of a dedicated hand-drawn/2D animation department had existed – indeed thrived to some extent – within the state sanctioned Tallinn Film for at least 20 years prior to its formal establishment. In 1971 legendary Estonian animation pioneer Rein Raamat established a cel animation department within Tallinn Film and from that point the kind of drawn animation that Estonia has become synonymous with never really looked back. Rammat had worked under Tuganov in the puppet department since its inception in 1958 so knew the corridors of Tallinn Film well. Along with Avo Paistik and Priit Parn, he set about creating a whole new strata of Estonian animation when word arrived that Eesti Joonisfilm had been given the nod to set up. Drawn ‘cartoons’ quickly flowed from Raamat’s department with Vari Ja Tee (The Shadow And The Road) and Veekandja (The Water Bearer) achieving releases within months of Raamat and his team getting started. Within two years they would achieve international success with films such as Raamat’s own 1973 classic Lend (Flight) which staked its claim early by taking out the Special Jury Award at the Zagreb festival the following year. The arrival of this 2D department also marked a divergence in the style of storytelling that Estonian animation was presenting. 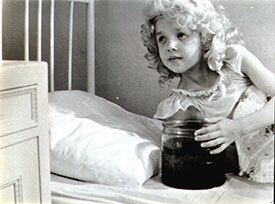 Puppet animation had, in many cases, undertaken a more linear narrative approach to making animated films with the underlying tone of much of the work reflecting the fairytale-type stories and the kinds of actions associated with the ‘toys’ that many people subconsciously associated with puppets. Drawn 2D animation, however, had very little of this type of baggage to carry. From the outset is was able to employ entirely different colour palettes, incorporate – however carefully – a variety of influences from various art and cultural movements of the day and it’s very tone and style allowed it to veer off narratively into all manner of strange and discordant directions. To some extent this suited the mood of many of the artists involved. Chafing for greater freedom of expression than generally allowed by the Moscow based cultural controllers at the time, the very esoteric potential of drawn animation allowed a certain ‘licence’ for what could be depicted. And what the authorities would tolerate…. or could understand. The desire to travel more freely, to discuss the notion of Estonia’s relationship with the wider world, to explore the underlying sadnesses and frustrations of so many aspects of life in Estonia all informed much of this animation. Hiding in plain view, the messages were mostly lost on the Moscow masters, a blindness that simply added fuel to the tanks of those making these films. For all of that though there is – and always has been – a level of complexity in the way Estonians express, consume and digest anything that has a cultural component to it. This virtually unparalleled level of ‘cultural connection’ may just be Estonia’s secret sauce….. the reason a tiny country of less than 1.5 million people can so consistently and persistently produce an utterly unique cultural output across so many strata. It is something you have to spend a little bit of time immersed in to fully understand the extent of its reach. Combine this with a preternatural willingness (bordering on compulsion) to socially self-critique and you have a glimmer of where the power, the willingness and the sheer societal emotion intelligence to pursue and support art-making at this level and intensity comes from. It might be possible to introduce Estonian animation without particular mention of Priit Parn but it wouldn’t be credible. A household name in Estonia itself, he is also the animator whose name is the most likely (which is to say … not very) to be recognised by the animatedly uninitiated. For those of us on the inside, little introduction is surely needed and yet his presence in the history has to be recorded. Let’s aim for tribute over biography in this instance. It is not an exaggeration of any magnitude to describe Parn as a living master and one of the true greats of the artform. Beyond – well beyond – what his body of work means in the context of animation, many of his films are just simply among the best, most interesting, most challenging and most complex pieces of animation ever created. Beyond an incredible library of films, he is responsible for teaching generations of Estonian – and indeed, European – animators not just how to animate but how to think like an animator before they draw the first line. The ripples in the pond that he created continue to travel outwards and have infused the entire auteur animation realm with a depth and dimension that it would not have had without his contribution. He is one of a handful of animators that has pushed us all to understand the unique properties of animation as an artform and a form of complex expression. The goal here this time is not to create an “Estonia’s Greatest Animated Hits”. Instead the idea is to corral a collection of old and new films that speak to the uniqueness of the Estonian animated vision. And we have opted to take the path less travelled a couple of times, including with the inclusion of Parn’s film Some Exercises In Preparation Of An Independent Life (1980). 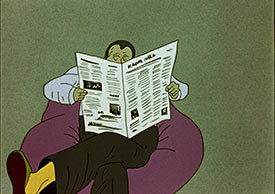 This was only Parn’s third film but is a prime – if sometimes overlooked – example of his genius for using animation to discuss the Estonian experience of the era. The film subtly reverberates with the contradictions of trying to live peacefully and happily in an occupied society whilst dreaming of a kind of freedom that exists as some sort of illusory veil just in front of one’s eyes but just beyond the reach of the fingertips. Parn, of course, is far from the first filmmaker to paint this picture, but ‘Exercises’, as with many of his later films, simultaneously explores the suspicion or perhaps even the fear that this ghost of independence might also be imperfect and unable to deliver on every expectation heaped upon it. And in this we see the emergence of the depth and complexity that Parn would bring to the field of animation to this day. As that stands as an early example of the brilliance of 2D animation that would emerge from Eesti Joonisfilm, the programme opens with an acknowledged early classic from down the hall in the Nuku Film department. 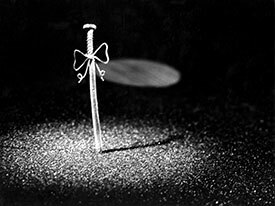 Nail (1972) is, above all else, a deceptively simple yet stunning piece of stop-motion animation. 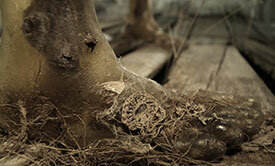 The director/animator Heino Pars became fascinated with the secret life of nails when he was building his own house. Think through what is happening here. The character is ….. a nail. That’s it! Contemplate how you could breathe life, emotion and a sense of character into a nail. Somehow Pars has managed this. Think also about the purely practical challenges of animating this ‘character’. Using an actual nail is out of the question – by definition, they are rigid, unbending objects. To give them life, Pars eventually settled on using nails made out of rubber. While this allowed for the flexibility and durability he needed for his ‘puppets’ to move, it created a whole new set of problems to contend with. These were the days well before computer assisted post-production which allows for such things as the removal of hang wires to keep characters standing. Pars and his cinematographer wound up using complicated rigs of mirrors to reflect backgrounds against nails that were lying horizontally. Shot with the camera on its side, the finished film gave the impression of a vertical, dancing character. Even this solution – genius in its own way – provoked secondary problems with portraying accurate shadows for the character. So, look carefully…. Nail is a far more complicated piece of puppet animation than you might suspect. Early in the programme it is also important to shine a light on the particular peculiarities of the way some Estonian animators have developed a style of pixilation. Although a master of many techniques, Rao Heidmet’s 1994 film The Living Room is a darkly sensational benchmark of this form. Shot in black and white (as is so often the case), it obliquely explores both the sense of invisible entrapment and the uncertainties of semi-imaginable freedoms that forms the viscera of so many Estonian films. Haunting this film is an aura of faux Hollywood circa 1930s which carries with it, unstated but siren-clear, so many messages about fake dreams, suppressed realities and the raw fragility of the narrative on offer. Mont Blanc (2001) by Priit Tender ushers the programme into the 2000s. By this point Estonia is now truly independent. Officially so in 1991, independence in Estonia was a somewhat more gradual process than the sudden ‘overnight’ events experienced by other nations who strove to break free from the Soviet Union. By now budget airlines arrive every day, people come and go as they wish, citizens speak their minds. Progress, structurally and socially, is undeniable and on display for all to see. And yet the sense of where they fit in and how they relate to the rest of the world continues to permeate so much Estonian animation. It’s fascinating and without the need to create a meaning to be hidden from censors, it often bubbles up as an appetite to turn up the surrealism dial. Tender was and is an absolute master of this. Clearly influenced by the lessons passed down from Parn, his earlier films such as Mont Blanc (and Gravitation from 1996) are critically important markers in this bridging period of Estonia’s political, social and cultural history. Long journeys, uncertain destinations, conflicted characters and motivations, an ambiguous sense of ‘place’ all seep from this film with every passing frame. As Estonia emerged into full independence, some in the world of auteur animation wondered if the creeping combination of a changing resource landscape and the removal of the dark motivations provided by living under Soviet rule might somehow conspire to undermine the capacity of the next generation of Estonian animators to take the baton. Jelena Girlin and Mari-Liis Bassovskaja are a formidable duo who demonstrate that none of the uniqueness is leaving Hotel Estonia any day soon. Anybody who happened upon their 2009 scatologically monumental Oranus would not have forgotten it in a hurry, even if they had wanted to. And tempting as it was to polish that one up for inclusion here, we opted for The Dress (2007), a film that has screened just about everywhere it could screen. Graduates of the increasingly impressive animation course at the Estonia Academy of Arts, Girlin and Bassovskaja’s The Dress is a top-shelf example of how the power of Estonian animation is being trained on to explorations of personal identity and that absurdly impossible quest for connection to something bigger than the little visions of ordinary everyday lives suggest is the sum of our parts. Martinus Klemet is one of Estonia’s most eclectic explorers. Klemet happily navigates avenues that take in the worlds of illustration, graphic novels and the aesthetics of online video games. His work is difficult to categorise other than, perhaps, to suggest that a persistent strain of playfulness seems to just about always find its way in. 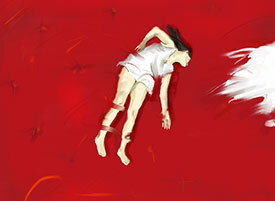 In The Air (2009) unleashes Klemet’s considerable talents as a creator of hand-drawn animation. With a plot bordering on the Dadaist, it serves up an often hilarious cacophony of pandemonium which cumulatively seems to offer up a commentary on the dangerous mis-focus modern day media (as it was in 2009 at least) can bring to our lives and the world we must physically travel through. There are not many animators who can translate this disparate list of ingredients into the five star course-de-chaos that Klemet concocts here – and it sits at mysterious odds to the man himself, one of the most laid-back of animators you will encounter. Thoughtful, thorough and a perfectionist. Ülo Pikkov is gradually stamping a singular mark on the terrain of animation that transcends the ability to simply create accomplished animated films. He is among the most skilful at finding the utterly central personal kernel in the middle of whatever narrative he seeks to delve into. Likewise, he brings a professorial level of thought and erudition to the understanding of animation’s value as an artform through his writing. And his skills as a stop-motion animator (although he animates in a number of techniques) are astonishing. One of his most affecting films is surely Body Memory (2011). The sense of confinement and containment, of loss of control, of the unknown and the unseen persecutor just beyond the wall is palpable. Eschewing any focus on the ‘individual’, it creates a collection of the faceless, the nameless, the unidentified and the unidentifiable. The animation itself conjures a savage ballet of disintegration and human erasure while the imagery cannot help but summon reflections on some of the visions that still resonate as shameful horrors from a history that might not be entirely closed. This is a lot of meaning to be wrung from some wood, wire and strands of yarn. One of the most popular Estonian films of recent times would have to be Anu-Laura Tuttelberg’s On The Other Side Of The Woods (2014). On one level, it is an incredibly interesting exploration of the most fundamental of stop-motion animation’s various ingredients. Tuttelberg’s main character is sculpted out of simple, basic damp clay. This is made deliberately obvious in the film with the imprints and deformations of the animator’s hands purposely and inevitably evident on its surface. Much of the creative motivation that underpins the structure and style of the film is Tuttelberg’s determination to use it as a prolonged experiment to research her fascination with a wide variety of raw materials with which it is possible to craft an animated film of this type. But it’s most fascinating component is also its most elemental – light. On The Other Side Of The Woods was shot using the natural light that streamed through the windows of the studio in which she made the film. This introduces a randomness to the overall lighting of the film whilst at the same time creating a luminosity that pulses and ebbs to its own rhythm, almost as if it had a life and mind of its own. And finally, how does one describe Kaspar Jancis? Some people just live by different rules. Some people see different colours and hear different noises than the rest of us. Some people observe a very different shortest path between the A’s and B’s of life. Jancis is all of these and more. His films make sense – they make a LOT of sense – but only as you’re watching them. Try walking out of a cinema and describing one of his films to somebody in the bar. It’s not easy. It’s often barely possible. His film Piano (2015) is a wonderful way to round out this special programme on Estonian animation. It helps makes the point the programme itself is trying to make. It points strongly to a future for Estonian animation that is every bit as fascinating, captivating and unique as its past. Embedded in Piano is a little world, complete in its own nearly inexplicable way, that could not be imagined anywhere else other than within the broad walls of the colourful garden of Estonian animation. Piano is delicious – and welcome – conformation that Estonian animation is adapting to a changing world while holding fast and strong to the inimitable DNA that has long given it its vitality and dominion. In short(s), there seems to be plenty more where all of that came from. You can book tickets for this and our other Estonian programme The Mad, Bad Anthropomorphic World of Chintis Lundgren for £12 + booking fee. This entry was written by admin, posted on November 26, 2018 at 10:22 pm, filed under News.